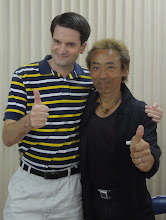 Today, I attended another cool event with optical effects master Sadao Iizuka. His talk focused on his freelance SFX work after he left Toho circa 1969. He certainly had a lot to say, and he said it all with gusto. 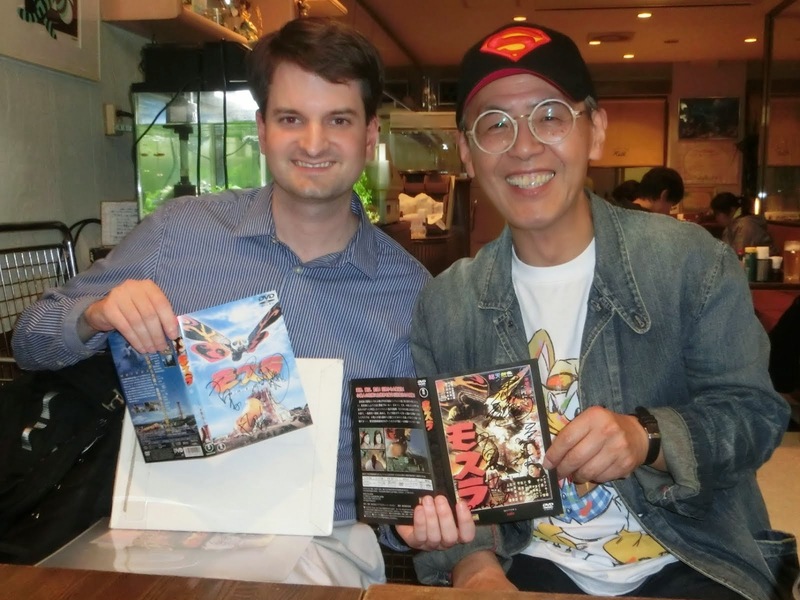 Iizuka-san is a very nice guy, and I enjoyed myself immensely once again. Many thanks to everyone who made it possible! 60 YEARS OF MOONLIGHT MASK! 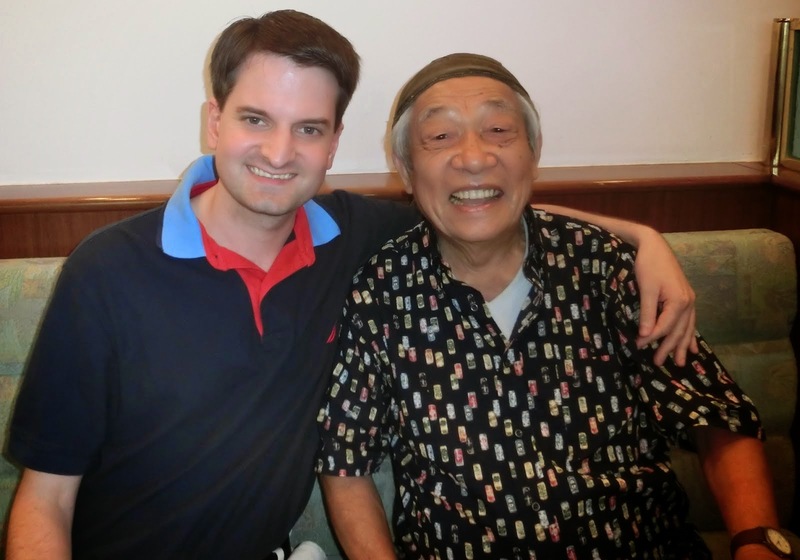 Actor Koichi Ose Celebrates the Milestone! 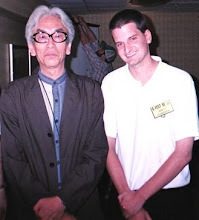 Koichi Ose. Photo by Brett Homenick. February 24, 2018, marks the 60th anniversary of the debut of Japanese television's first superhero: Moonlight Mask. On February 24, 1958, Moonlight Mask (1958-59) aired for the first time on the station now known as TBS (in Japan, that is). 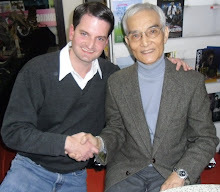 So it was a great honor to be able to attend the event marking the 60th anniversary of this history-making TV series with Moonlight Mask himself, actor Koichi Ose. Koichi Ose poses with his heroic alter ego, as well as the same type of motorcycle on which he used to chase baddies. Photo by Brett Homenick. The event kicked off with a screening of several Moonlight Mask episodes, which were a lot of fun. The stories are simple and extremely easy to follow, which really makes knowledge of Japanese unnecessary to enjoy them. After that, Koichi Ose joined the proceedings and gave a Q&A session, during which he reminisced about his memories of making Moonlight Mask. Following that, we made our way to a nearby parking lot where we could pose for photos with Ose-san, an incredible Moonlight Mask cosplayer, and the same type of motorcycle on which Moonlight Mask rode in the series. When that finished, we got autographs from Ose-san. (I brought a Moonlight Mask DVD sleeve for him to sign.) Finally, we all gathered around and had dinner with the legendary superhero himself. Despite its place in history, Moonlight Mask is still not nearly as well known in the West as its small-screen successors. It's an entertaining show, and I hope it eventually finds a wider audience. It's certainly worth a look. If Mammoth Kong isn't enough to entice daikaiju fans, then I don't know what is! Happy 60th anniversary, Moonlight Mask! Does that creature look like anyone you know? Photo by Brett Homenick. While out and about today, I ended up in Shinagawa Station. 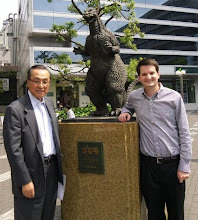 Shinagawa Station is fairly well known among Godzilla fans for its association with Godzilla (1954). In fact, this interesting tile on Platform 1 of the JR Yamanote Line seems to commemorate that fact, though the creature depicted looks different enough from the Big G to avoid scrutiny from Toho's lawyers. Anyway, regardless of its real identity, it is certainly of interest for Godzilla fans to see it for themselves when in Shinagawa Station. 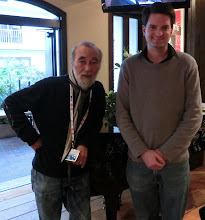 Today, I visited Kamakura to have another meeting with former Toho actor Shigeo Kato. Kato-san brought along one of his most prized possessions from his acting career. 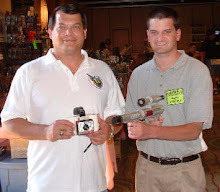 It was a prop from the TV miniseries Shogun (1980), in which he appeared. Kato-san's character gets decapitated in the miniseries, which necessitated the SFX department to create a replica head. After filming wrapped, he was allowed to keep it. After nearly 40 years, it's still in very good condition. During our meeting, we talked about his acting career, which was as fascinating as it always is. But the highlight had to be the prop from Shogun. What a cool thing to see! Tuesday night saw another performance by Shinichi Yanagisawa and His All-Stars in the HUB Asakusa, and immediately after work, I went to attend the performance. Yanagisawa-san portrayed Miyamoto, the comic relief character in The X from Outer Space (1967), which despite its outlandish monster effects has always been a favorite of mine. 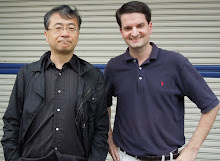 As always, Yanagisawa-san was a joy to see in person. I have a great time every time I see him, and I can't wait for his spring performance! Mayumi Shimizu. Photo by Brett Homenick. Today, I attended a film screening of the Nikkatsu thriller Kill the Outsider (a.k.a. Annihilate Whomever's in the Way, 1960), which starred Keiichiro Akagi, who is often called the James Dean of Japan. Akagi was at the height of his popularity when he died in a car accident at the age of 21 in 1961. Akagi still has a dedicated fan following in Japan to this day. I'd never seen this film before, but it looked quite impressive in glorious 35mm. 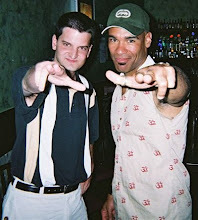 Mike Daneen (who appears in various tokusatsu movies) has a small role as a gangster who puts dynamite in a basketball (or was it a volleyball? ), which sets up the climax of the movie. In attendance for the screening was actress Mayumi Shimizu. She joined Nikkatsu in 1957 and went on to star in numerous films for the studio, often being paired with actor Koji Wada. 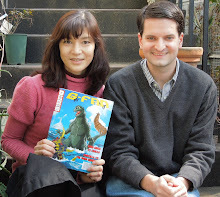 She married fellow Nikkatsu actor Yuji Odaka (who appears in Gappa the Triphibian Monster) and is the aunt of Godzilla series actress Megumi Odaka. 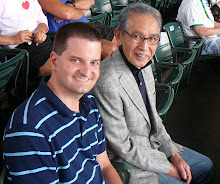 Suffice it to say, I enjoyed meeting Shimizu-san. I'm particularly interested in meeting actors and actresses from the Showa era, regardless of which studios they worked for. I'm always interested in discovering new avenues. Thank you very much, Shimizu-san! THE STUNTMAN! 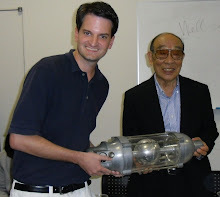 Meeting Hironobu Hagimae! Hironobu Hagimae. Photo by Brett Homenick. 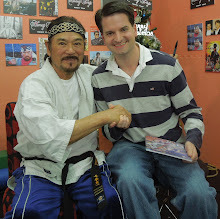 On Saturday evening, I had the unexpected privilege of meeting stuntman Hironobu Hagimae. Hagimae-san isn't a name that's very well known in America (or even Japan), but his credits are quite cool. As a stuntman who specializes in car and motorcycle stunts, he has been seen in movies and TV programs all over the world -- not just Japan, but also America and even Australia. Hagimae-san was the motorcycle stuntman for the original Kamen Rider (1971-73) and continued in that capacity throughout the '70s. 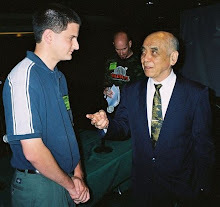 His favorite Rider is Kamen Rider V3, and he is quite proud of the work he did on that show, too. In the late '70s, Hagimae-san moved to America and did stunt work on the long-running TV series CHiPs. 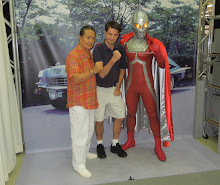 Due to his similar build to actor Erik Estrada, Hagimae-san was his motorcycle stuntman on the show. 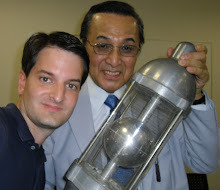 (So, yes, Kamen Rider and Frank Poncherello are related.) 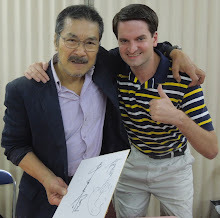 Hagimae-san also did stunts on the George Miller actioners Mad Max (1979) and The Road Warrior (1981). 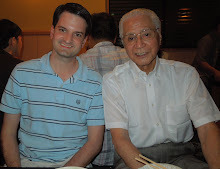 I greatly enjoyed meeting Hagimae-san, whose career ought to be better known on both sides of the Pacific. I hope to see him again very soon. 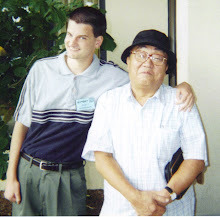 Tamio Kawachi. Photo by Brett Homenick. The Japanese media is reporting that actor Tamio Kawachi, the star of Gappa the Triphibian Monster (1967) and a regular on Ultraman Tiga (1996-97), passed away on February 10 of a cerebral infarction. He was 79. 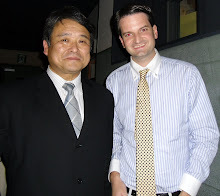 Almost exactly a year ago, I had the priviege of meeting Kawachi-san following a screening of one of his Nikkatsu movies. I was surprised to find that he could speak English. I found him to be quite friendly and had hoped our paths would eventually cross again. 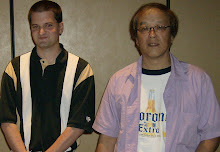 Hiroyasu Yamaura. Photo by Brett Homenick. Earlier today, I attended a special performance of a dramatic reading, which was written by veteran scribe Hiroyasu Yamaura. 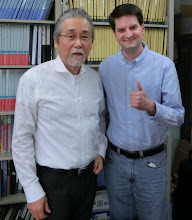 It was great to see Yamaura-san again, as I hadn't seen him since sometime last year. There were a number of friendly people in attendance, and I had a great time talking with them. The event didn't last very long, but it was certainly time well spent. TWO PADDINGTONS?! What Does It Mean? At the Toho Cinemas in Roppongi Hills on Sunday, I noticed that the theater had not one but two Paddington statues on display. I don't think there's enough marmalade in Japan to satisfy the two of them. On Sunday, I paid a visit to Roppongi, and with my trusty camera in hand, I shot some photos of Tokyo Tower. Enjoy! Nikkatsu Star Masako Izumi Is Back! Masako Izumi. Photo by Brett Homenick. 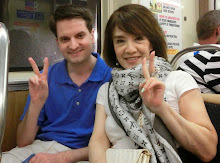 Tonight, I had a very pleasant evening in the company of former Nikkatsu actress Masako Izumi. It seems to be a yearly shindig that a lot of fellow fans also look forward to. Izumi-san (born in 1947) began her acting career in 1958 and quickly became a star when she signed with Nikkatsu Studios in the early 1960s. At Nikkatsu, she starred in such films as Toshio Masuda's tragic World War II drama Monument to the Girls' Corps (1968) and Seijun Suzuki's Tattooed Life (1965). A very interesting story that Izumi-san shared is that she was offered a part in the movie Sanjuro (1962) personally by Akira Kurosawa. However, she had just signed with Nikkatsu Studios at the time, so she couldn't join Kurosawa's production. The part she was offered ended up going to Toho actress Reiko Dan. Another fun story is that Izumi-san watched some of the monster scenes in Gappa the Triphibian Monster (1967) being filmed at Nikkatsu. It was her first time to see the production side of tokusatsu in person, so it left quite an impression on her. She's also a big fan of Peter, Paul and Mary, but hey, who isn't? 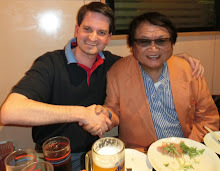 Suffice it to say, it was great to see Izumi-san again after another year. I hope to see her again before next February!